Birthday: March 12th Blood Type: B Height: 156 cm Weight: 43 kg Measurements: B78/W58/H80 The older of the two twin maids in the Tohno mansion, Kohaku, along with Hisui, is a childhood friend of Shiki. She wears a Japanese kimono and is always seen to be smiling and cheerful, being especially gifted with medicine. Her name, Kohaku, is the Japanese word for amber, referring to her eye color. 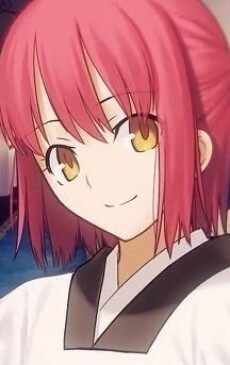 She hides her tragic past behind a cheerful face and Hisui's cold demeanor. Like Hisui, Kohaku is a Synchronizer, a person that can give someone life energy through exchange of body fluids.